13 two-sided map sheets with a 4-color cover insert, with one sheet of Traveller-specific Cardboard Heroes in ziplock bag. 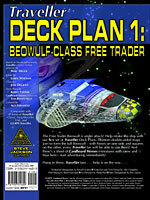 The Free Trader Beowulf is under attack! 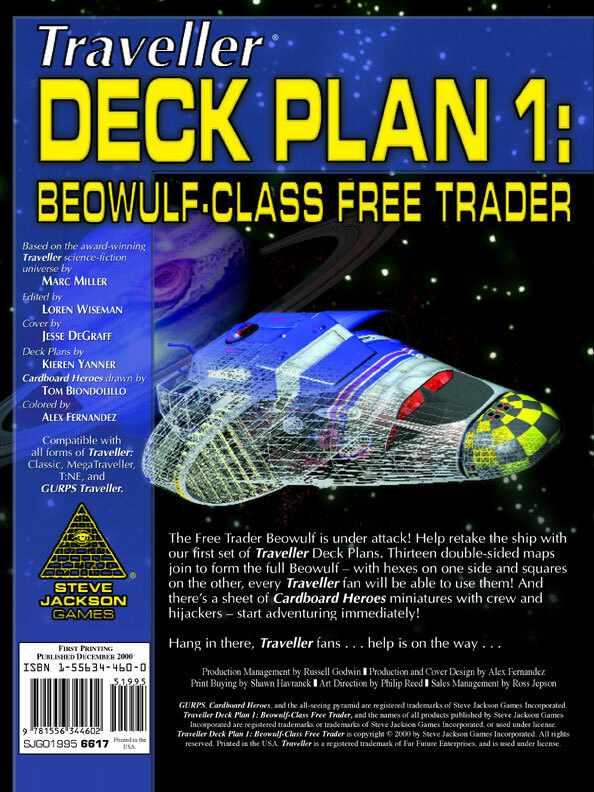 Help retake the ship with our first set of Traveller Deck Plans. Thirteen double-sided maps join to form the full Beowulf – with hexes on one side and squares on the other, every Traveller fan will be able to use them! And there's a sheet of Cardboard Heroes miniatures with crew and pirates – start adventuring immediately!